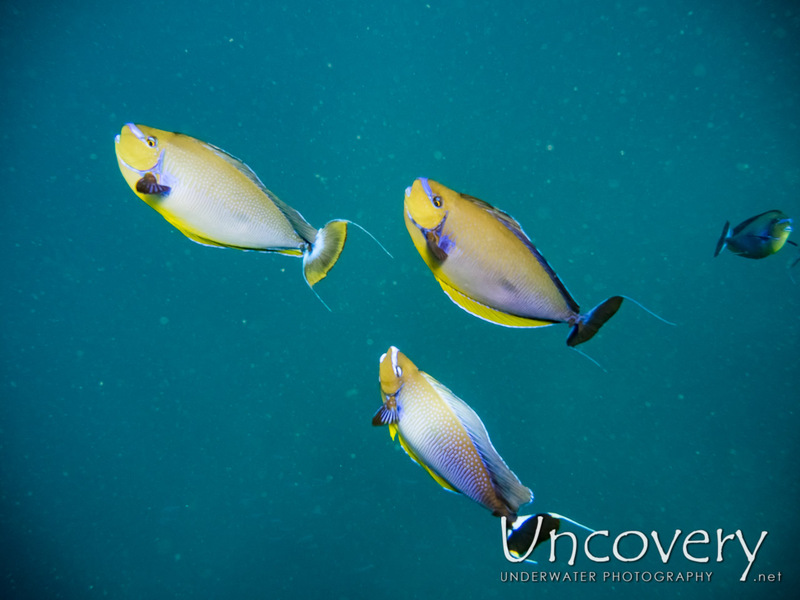 As the previous dive was too early in terms of favorable currents, we decided to stay on site and do the second dive on the same location. 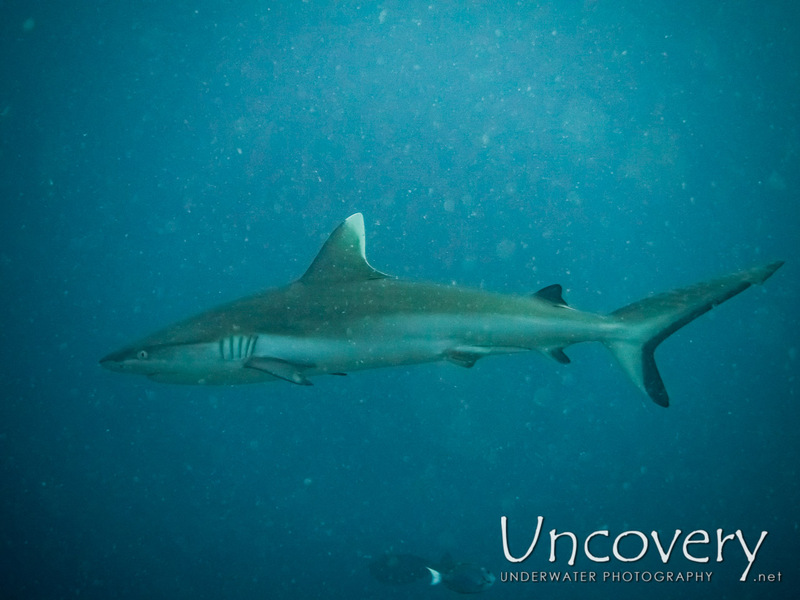 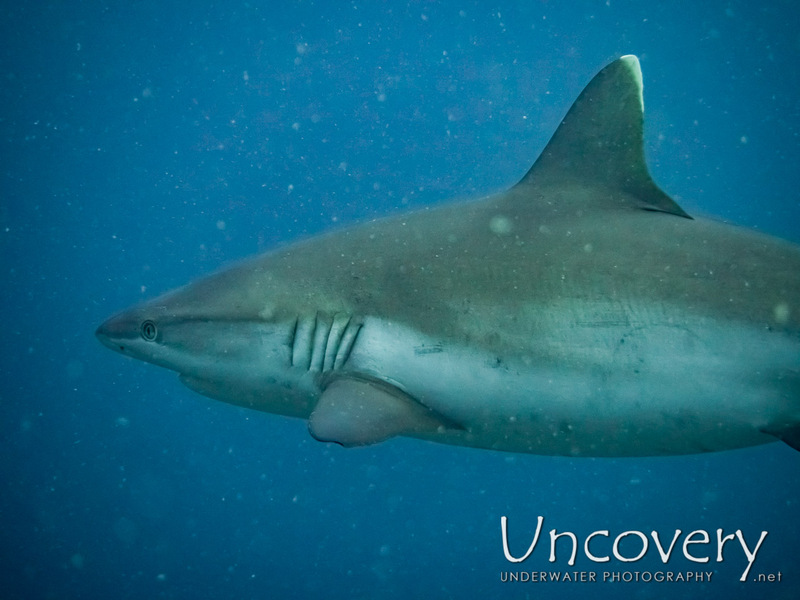 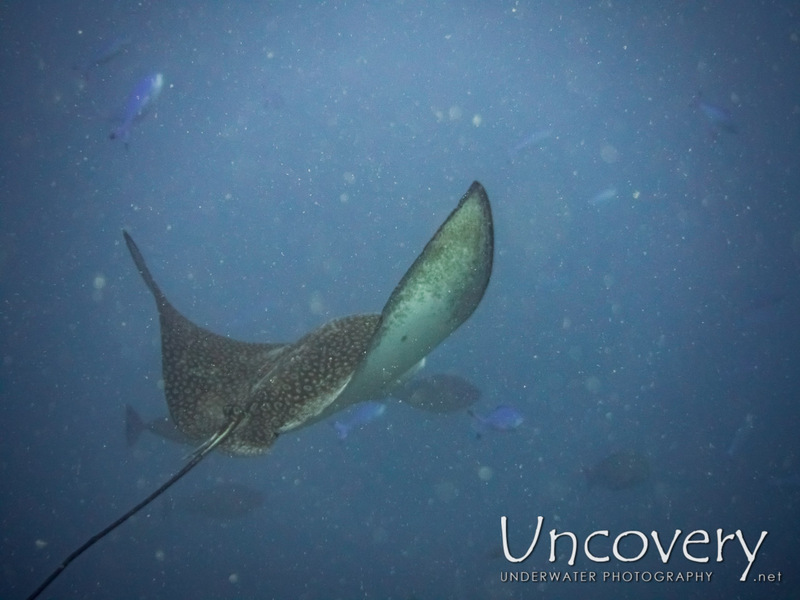 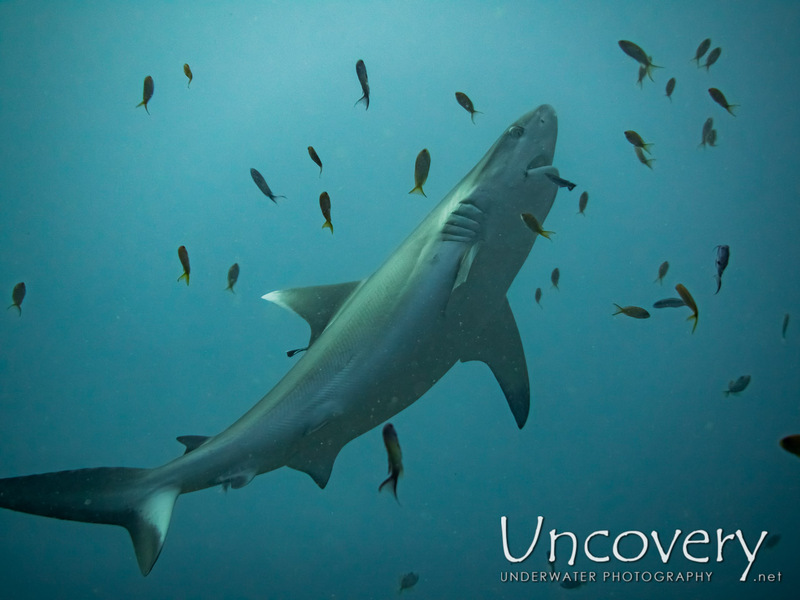 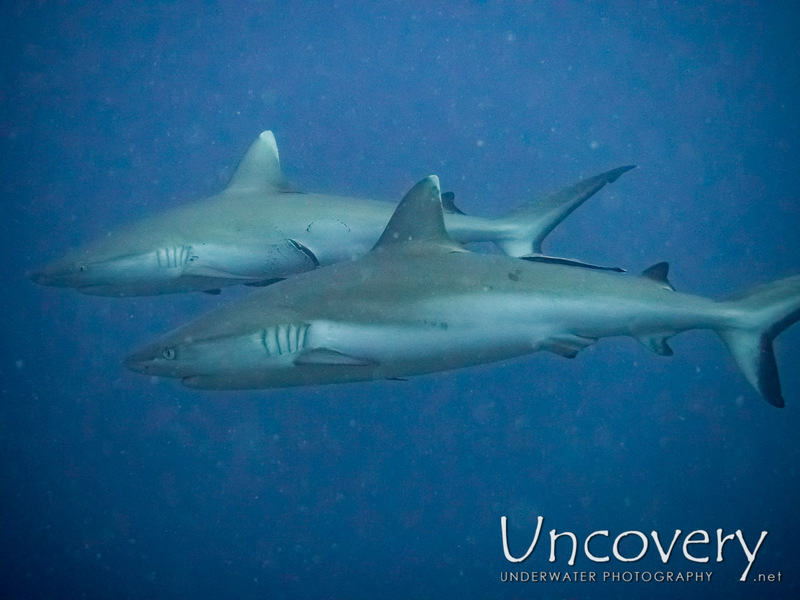 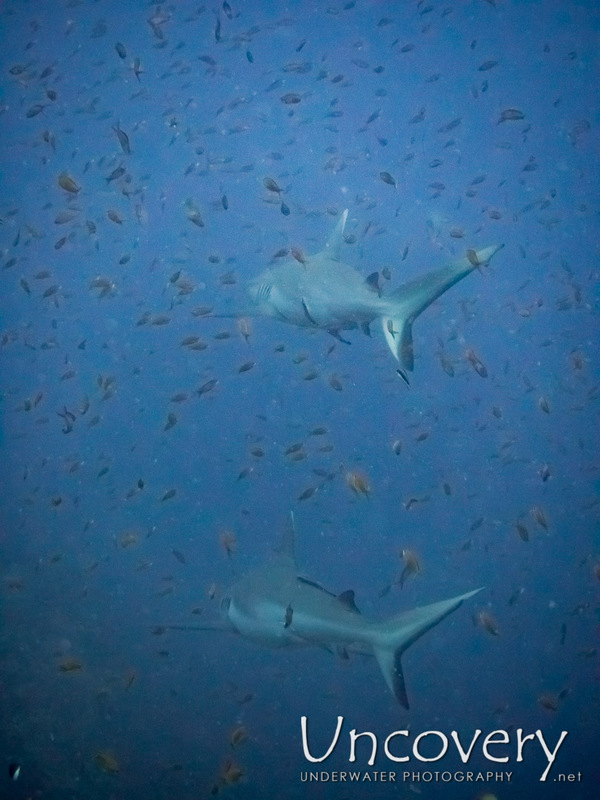 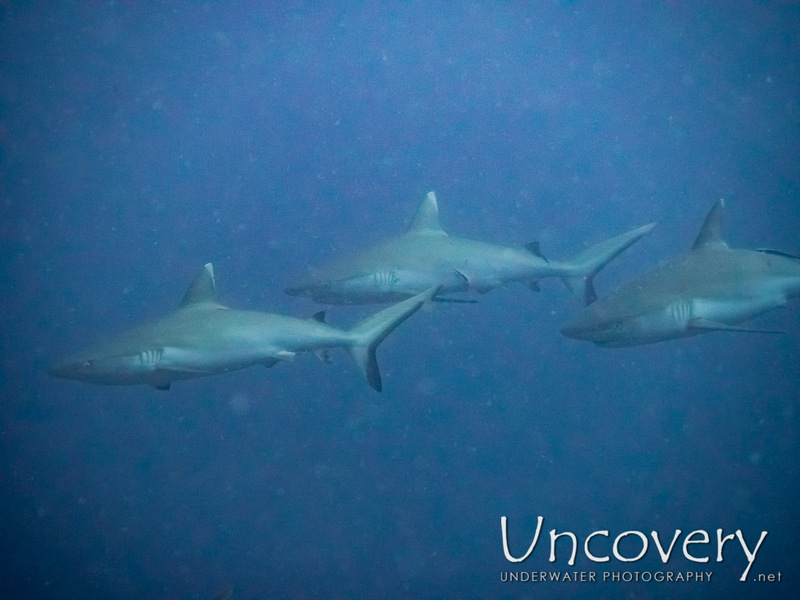 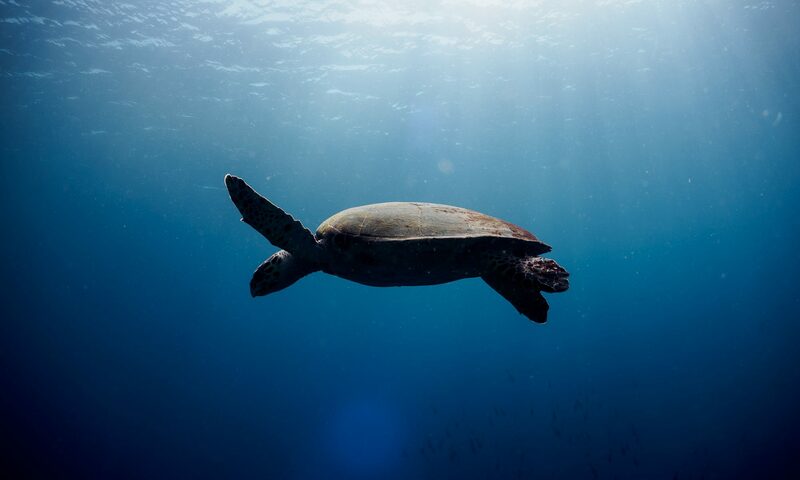 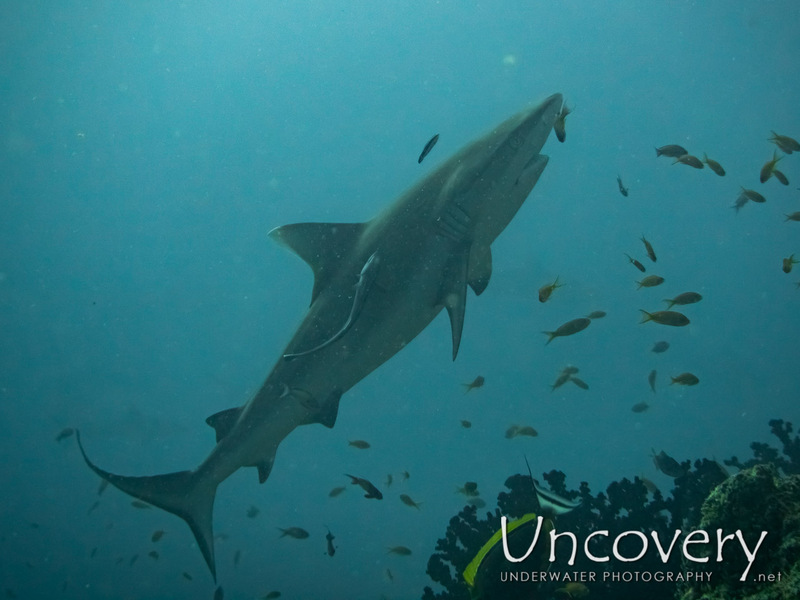 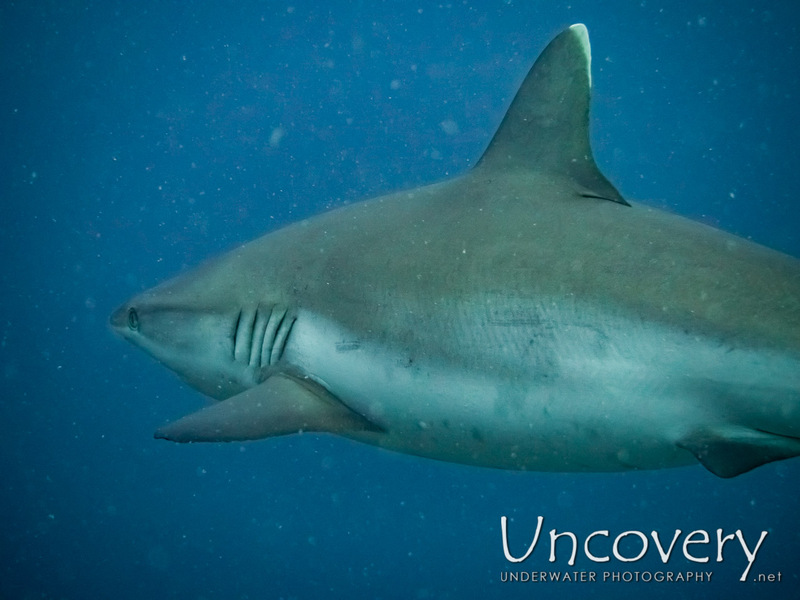 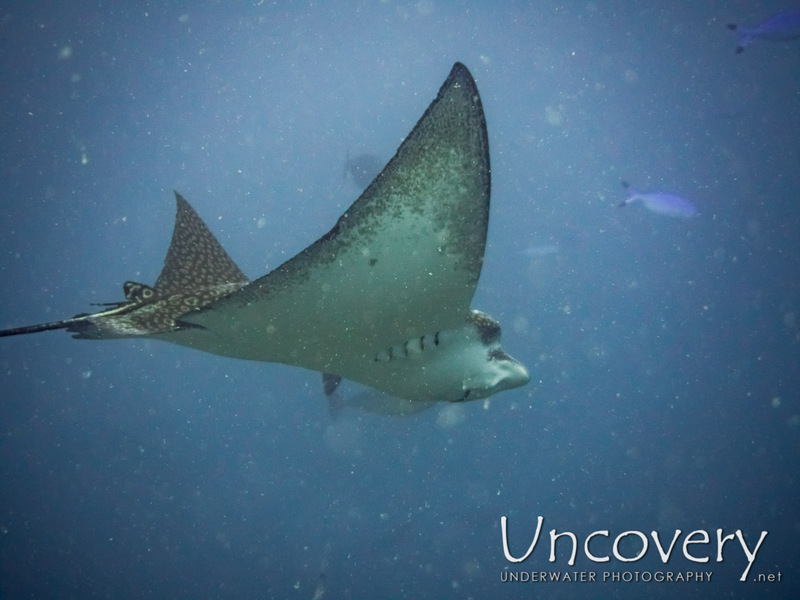 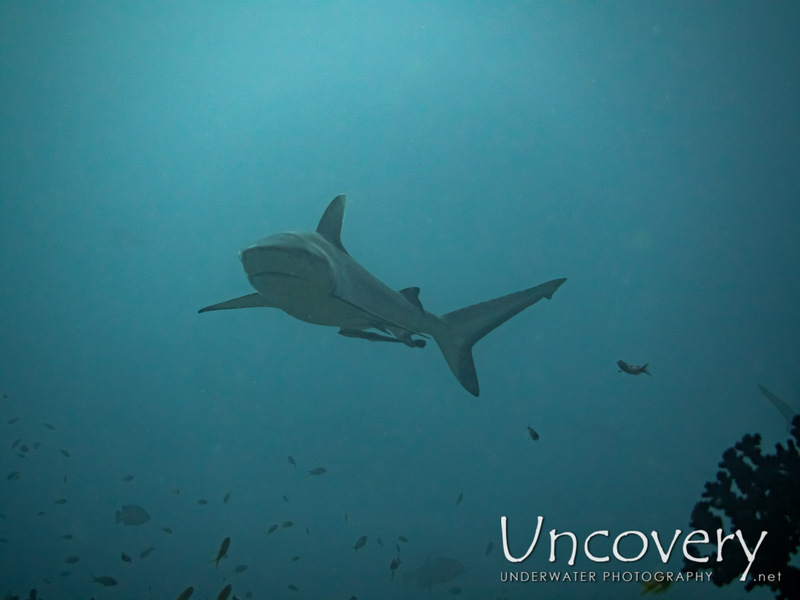 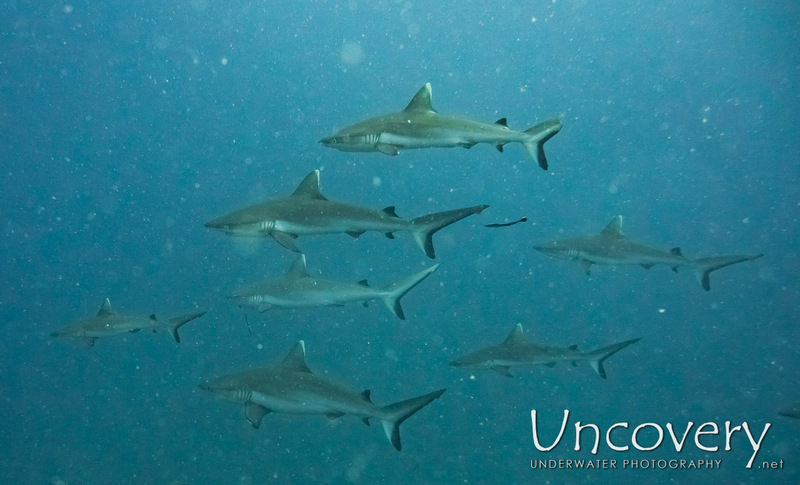 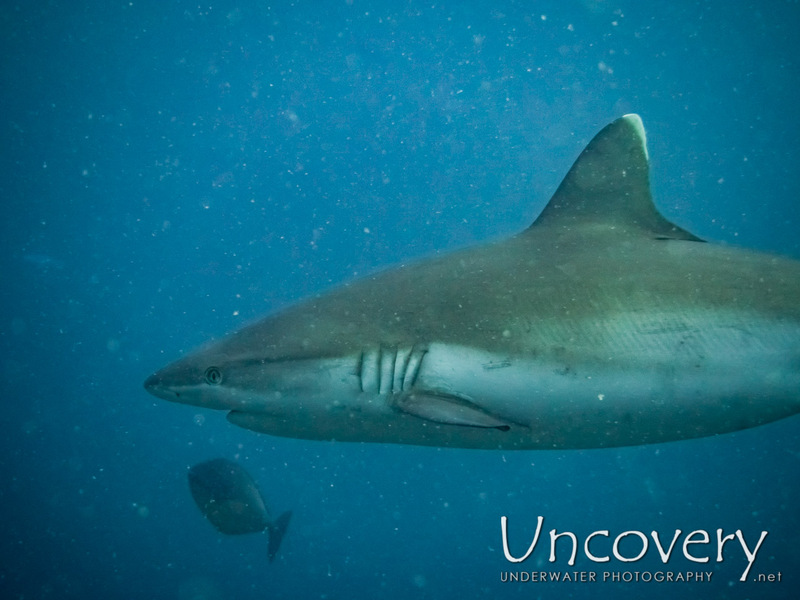 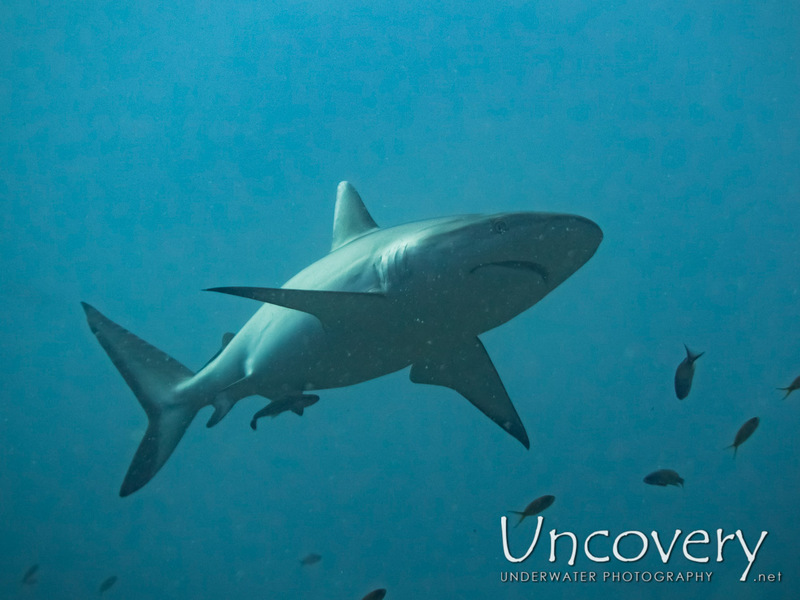 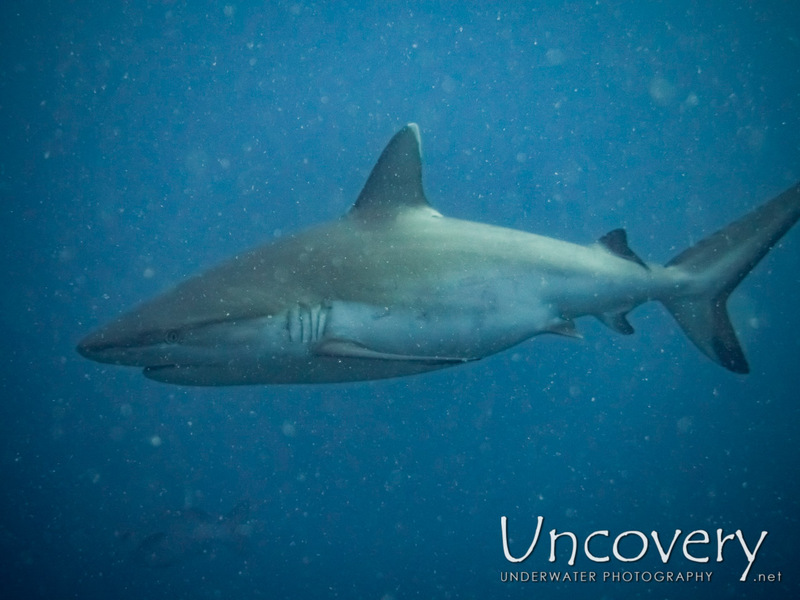 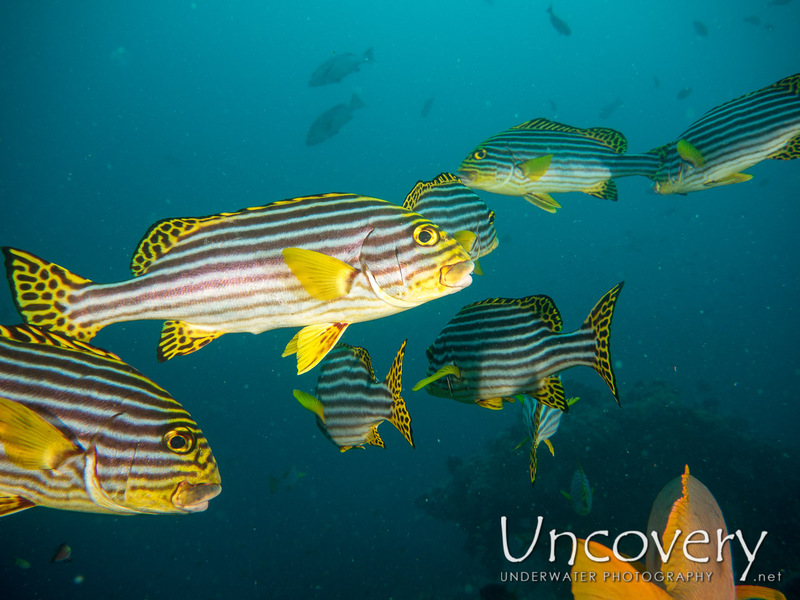 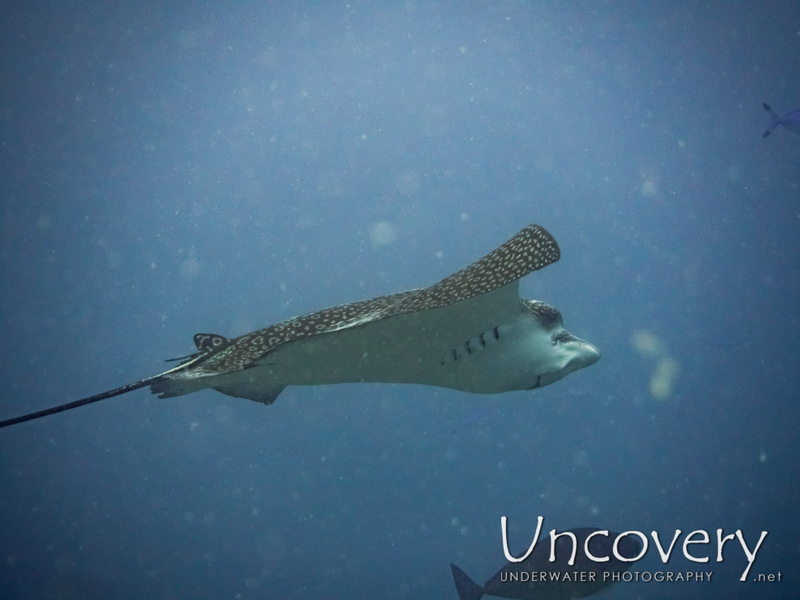 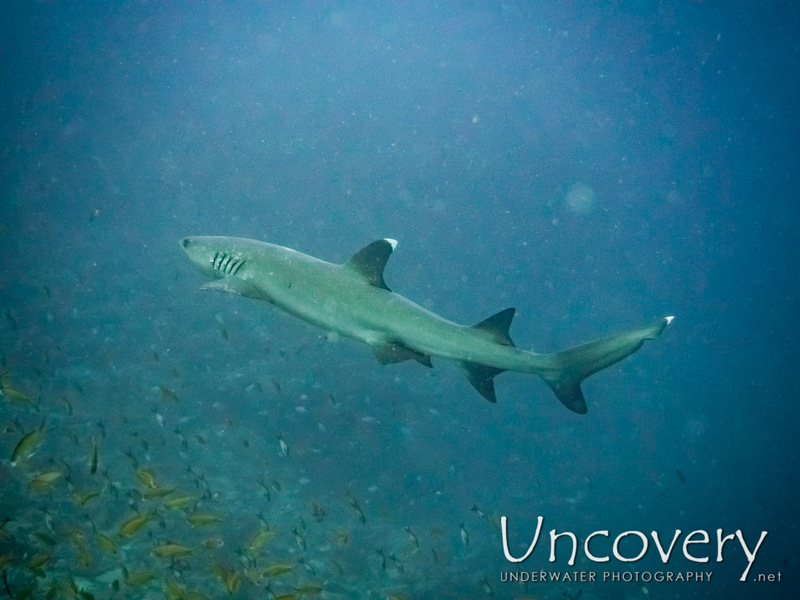 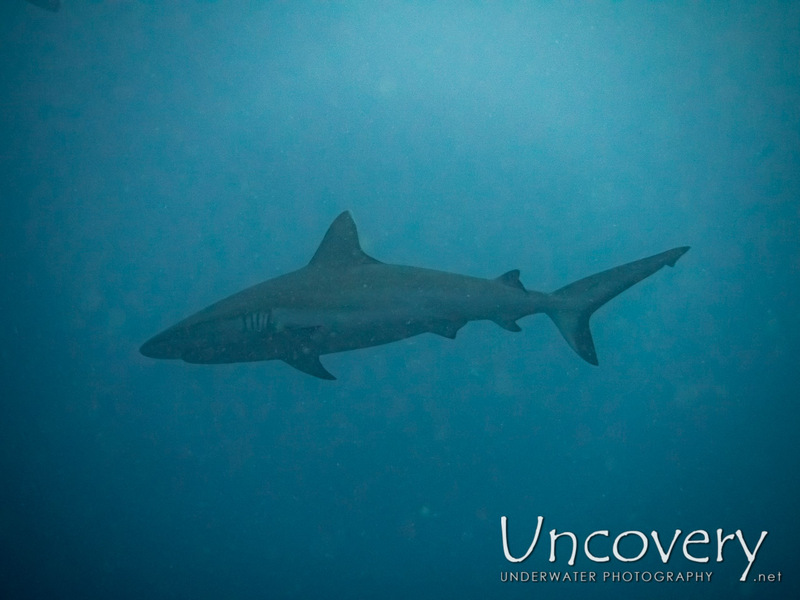 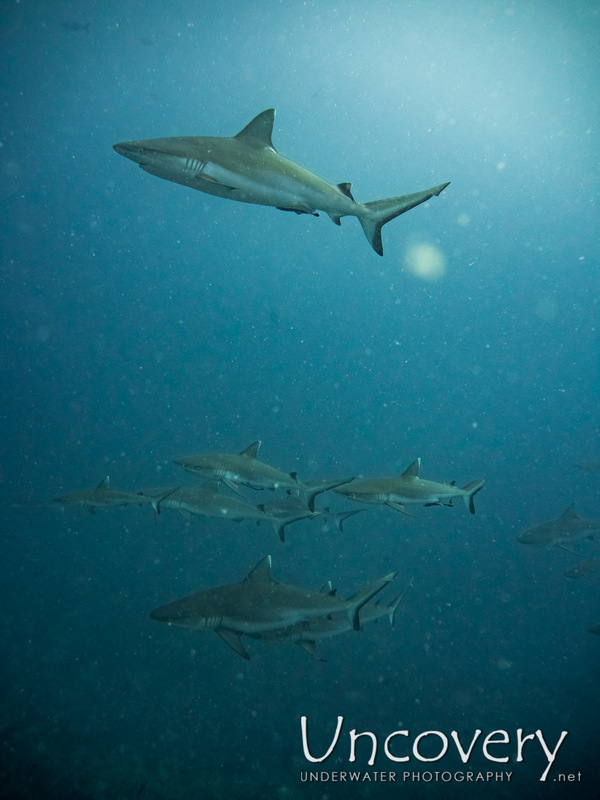 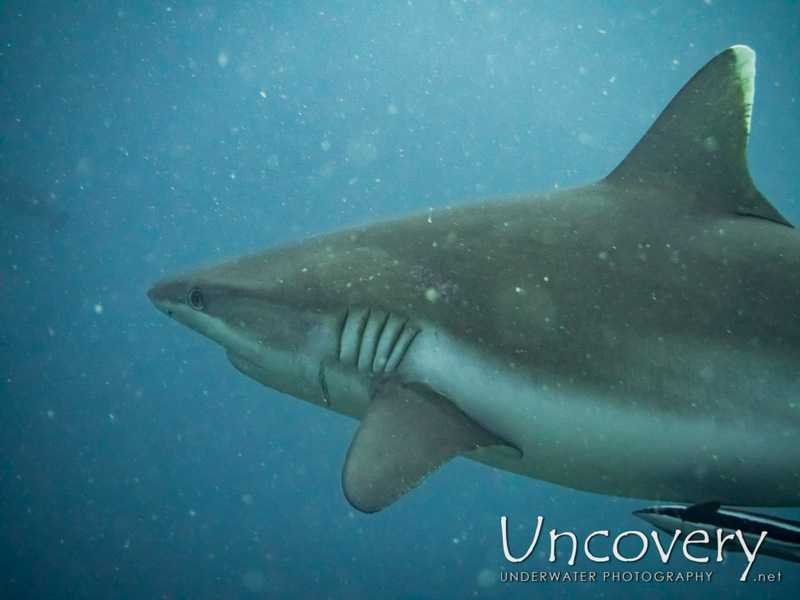 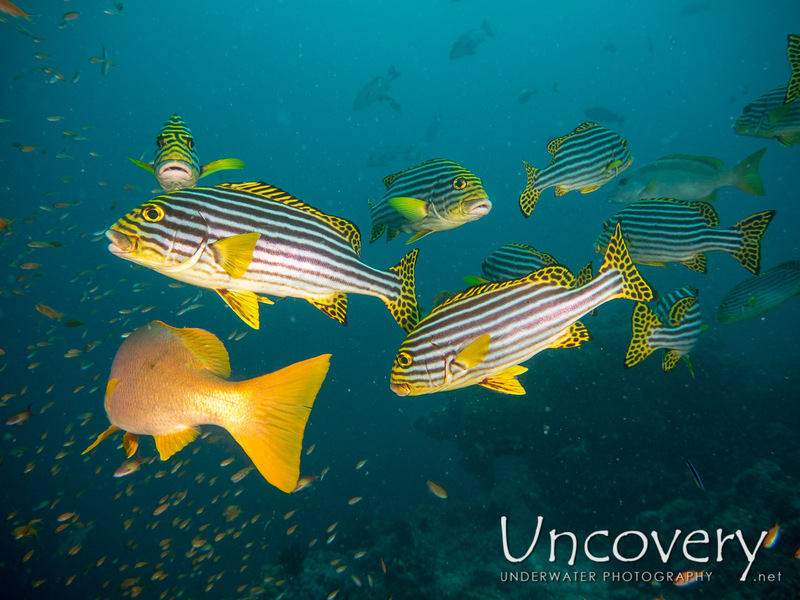 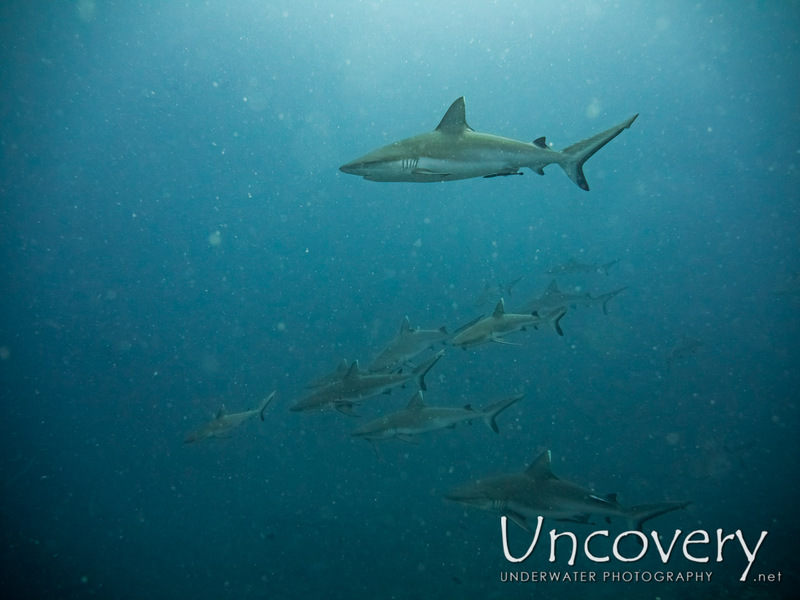 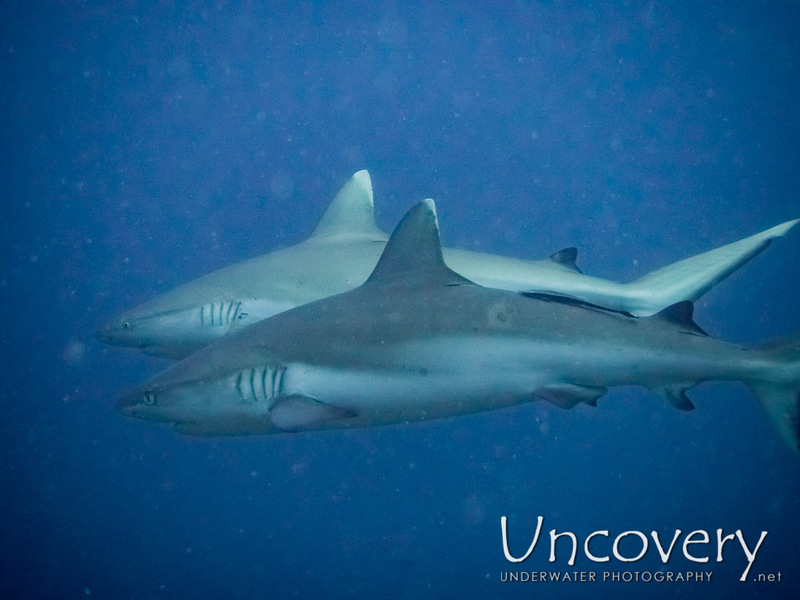 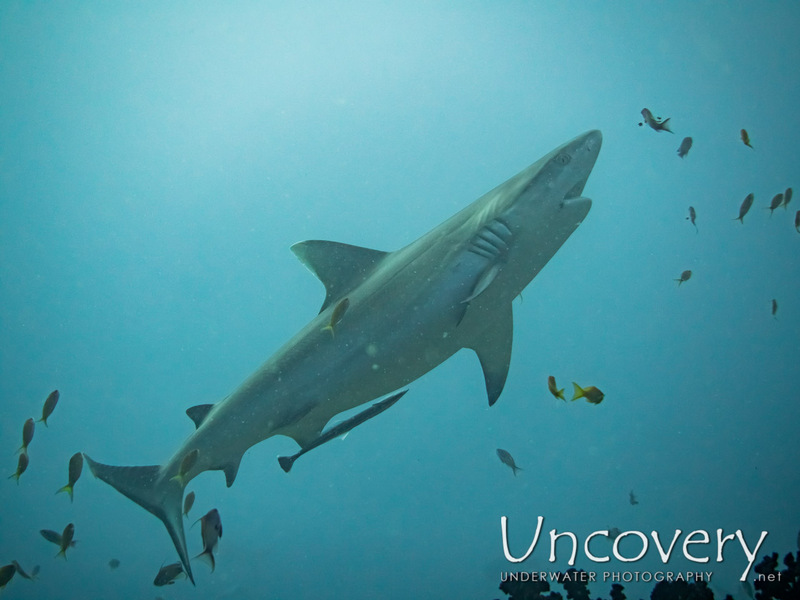 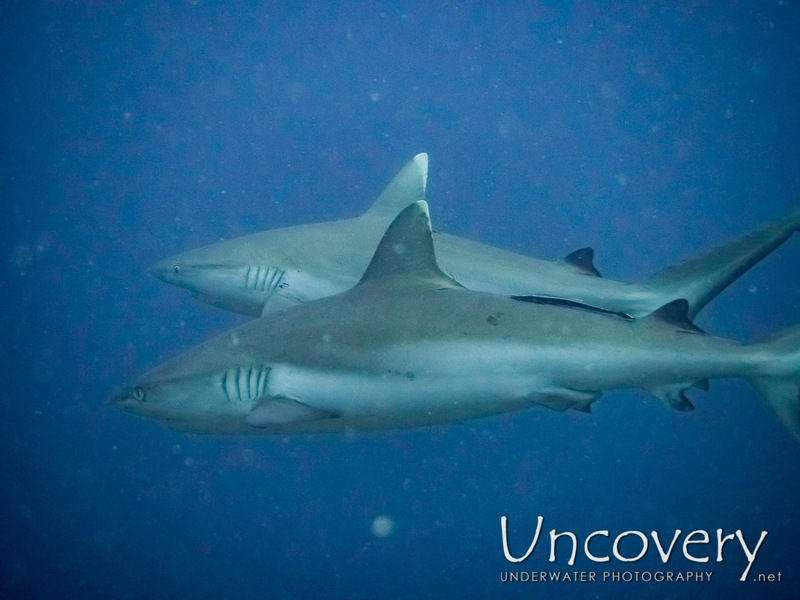 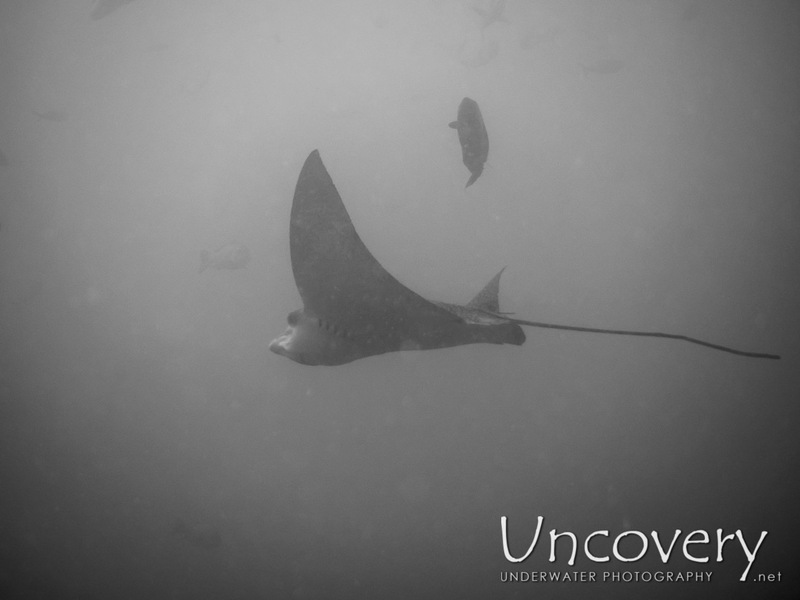 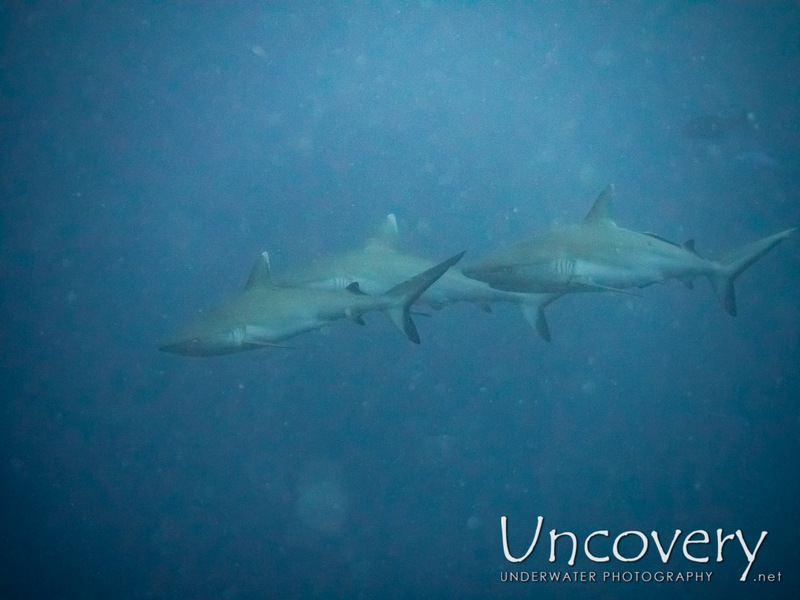 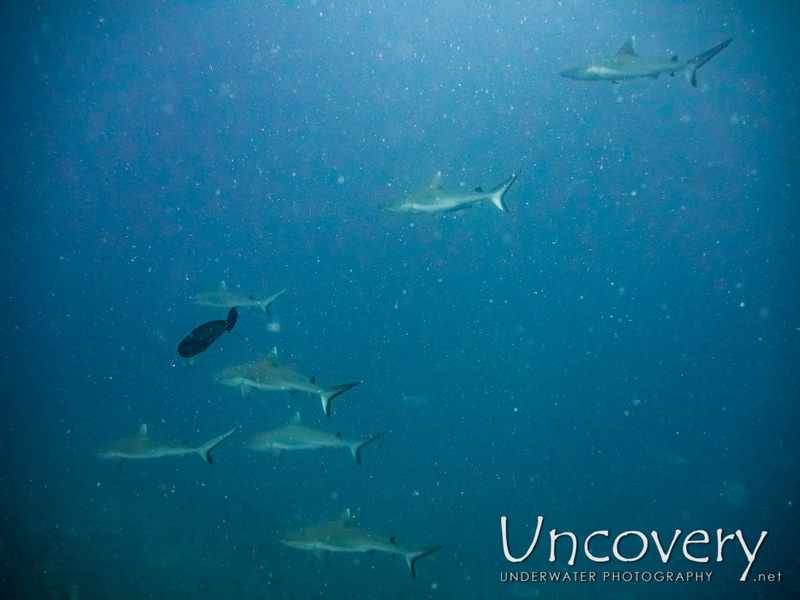 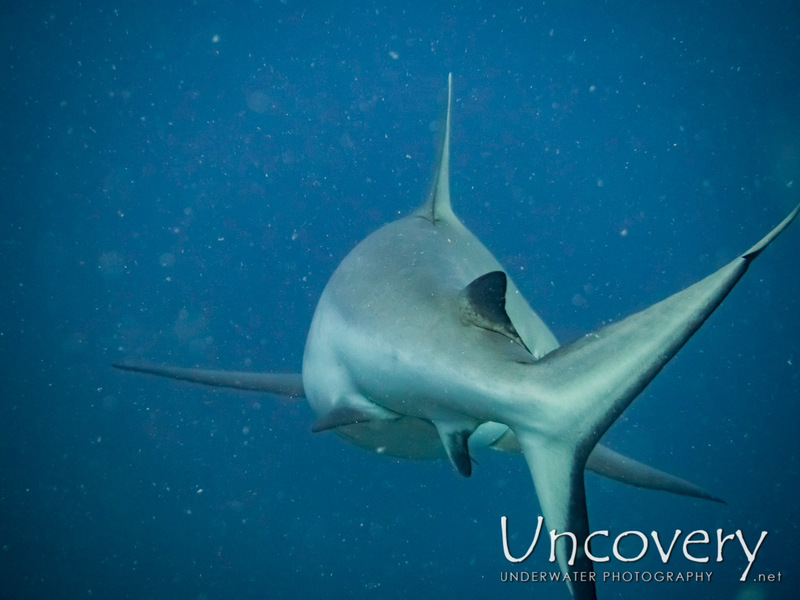 While the visibility was worse than the previous dives and the number of sharks was smaller, we could still observe some spectacular sharks offering for cleaning and a few eagle rays in the distance. 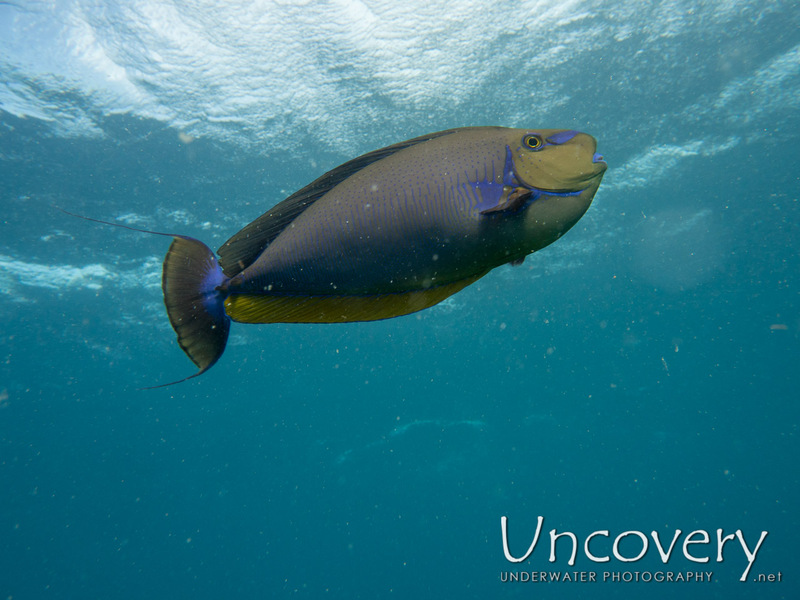 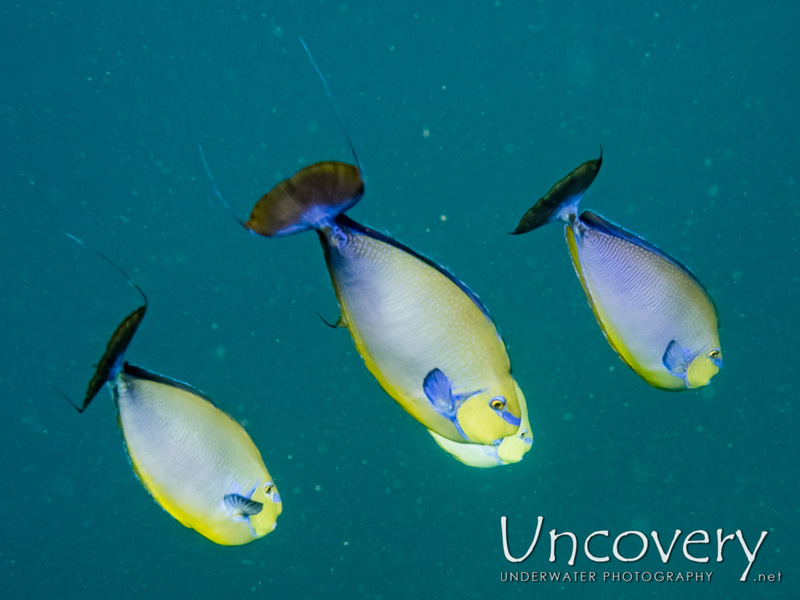 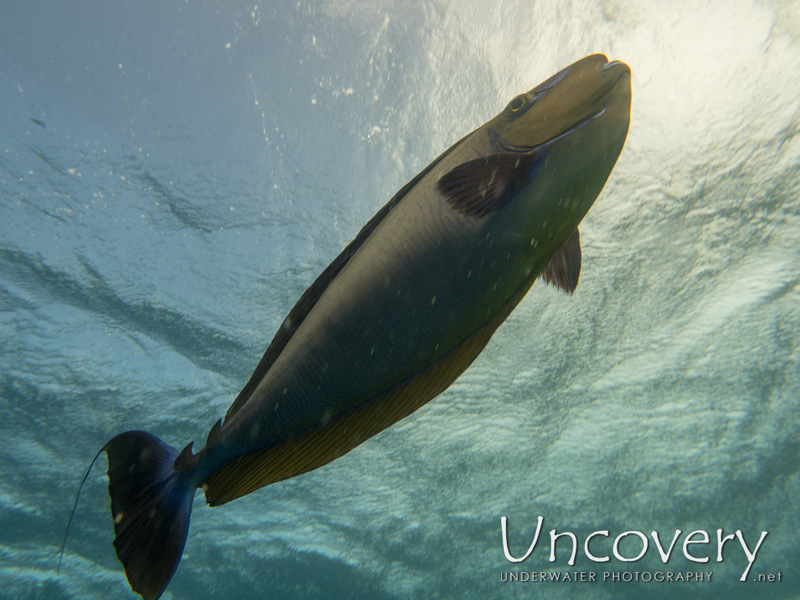 Surgeonfish were all over us, on descent as much as on the 5/3 stop.